On Dec. 4 at 12:54 p.m., patrols responded to the Home Depot on Nixon Drive for the report of a shoplifting. 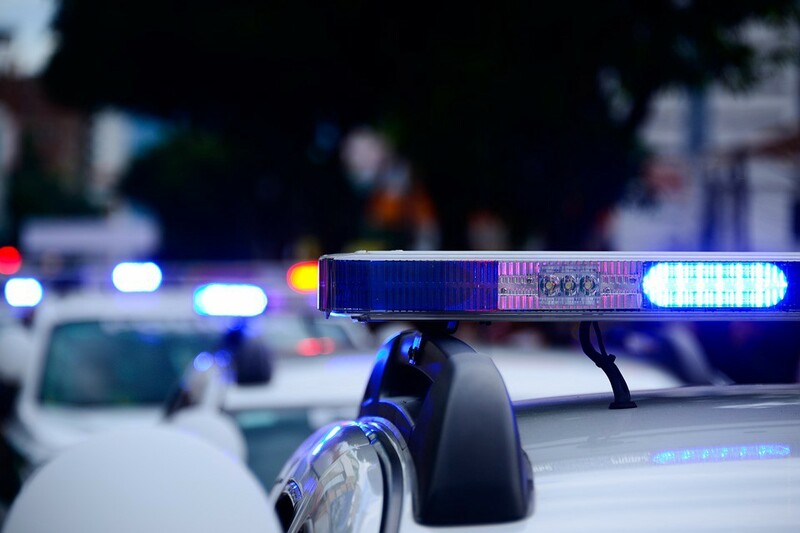 Loss prevention reports a female suspect entered the store and placed approximately $640 worth of store merchandise in a shopping cart and left the store without paying. When confronted by loss prevention employees, the female left the merchandise and fled the area in a black Honda Accord. On Dec. 4, patrols responded to Krysta Court for a report of a theft from a motor vehicle. The victim reported that sometime between Dec. 2 and Dec. 4, an unknown suspect entered her unlocked vehicle and stole a laptop computer. Neighborhood cameras are being checked for potential suspects. On Dec 4, 2017 patrols responded to Goddard School on Briggs Road for a theft from a motor vehicle. The victim reports that she parked her vehicle in the parking lot. While inside the school an unknown suspect smashed the passenger side door of her vehicle and stole her wallet out of the car. The suspect left the area in a silver Chevy Cruze. Investigation is ongoing. On Dec. 4, patrols responded to Amberfield Drive for the report of a stolen motor vehicle. The victim reported that sometime overnight, unknown suspect(s) stole his tan Honda Accord from in front of his residence. The victim was unsure if he left his keys inside the vehicle. Neighborhood cameras are being checked for potential suspects. On Dec. 3, patrols responded to Wegman’s, Centerton Road for a report of a shoplifter that was detained by loss prevention. Investigation revealed a 53-year-old female from Marlton filled a shopping cart with $529.15 and attempted to leave the store without paying. She was arrested, processed and released on a summons pending a court hearing. At 9:14 p.m. on Dec. 2, patrols responded to the area of Route 73 and Fellowship Road to investigate a hit and run motor vehicle crash. The vehicle that fled the scene was located in the parking lot of a business on the 500 block of Fellowship Road. The investigation led to the arrest of a 66-year-old male from Sicklerville. He was charged with driving while intoxicated and other motor vehicle violations and released pending a court hearing. On Dec. 2 at 9:11 p.m., patrols were conducting proactive patrols through the parking lots of the hotel/motels on the Route 73 corridor. A check on an occupied suspicious vehicle in the parking lot of a motel on the 1100 block of Route 73 led to an investigation and subsequent arrest of the occupants. A 32-year-old and 33-year-old male from Jacksonville, Fla were arrested for possession of cocaine and possession of marijuana under 50 grams. Both were processed and released on a summons pending a court hearing. On Dec. 1 at 9:29 p.m., patrols responded to the CVS Pharmacy, on Route 38 for a suspect attempting to use an altered prescription. Investigation led to the arrest of a 32-year-old male from Mt Laurel. He was charged with attempting to use a forged prescription and released on a summons pending a court hearing. At 1:27 a.m. on Dec. 1, patrols responded to a parking lot of the Wawa on Church Road near Waverly Avenue for a vehicle that struck a median. The investigation led to the arrest of a 40-year -old male from Cherry Hill. He was charged with driving while intoxicated and other motor vehicle violations and released pending a court hearing. On Nov. 30, employees of Ulta on Nixon Drive reported that three females entered their store and stole $168 worth of merchandise. The suspects fled the store in a silver Buick LaCrosse prior to police arrival. At approximately 2 p.m. on Nov. 30, Mt. Laurel Police say a suspected “Grinch” was caught on video stealing a Christmas light projector from the front lawn of a residence on the 300 block of Heather Drive. According to police, the thief appeared to be driving a black Ford Escape and may have a temporary New jersey License plate mounted on the back. Police say there was there was no front license plate. If anyone has any information concerning this theft, they are asked to contact the Mt. Laurel Police Department at 100 Mt. Laurel Road, or through (856) 234–1414. On Nov. 29, patrols responded to the 1200 block of Sedgefield Drive for the report of a package stolen from a porch. Upon arrival, the victim reported that UPS delivered packages on the morning of Nov. 28, however she did not get the packages. She further reported that on the morning of Nov. 29, she found packages on her porch, however they were open and some of the items missing. It was determined that the packages were stolen from the porch then found in the area by a resident walking his dog. The resident then left the packages on the victim’s porch. Police have no suspects at this time. On Nov. 28, patrols responded to Heatherstone Court for the report of a package stolen from a porch. Upon arrival, the victim reported that UPS delivered a package on Nov. 28 and left it on his front porch. When he arrived home from work the packages were gone. Police have no suspects at this time.